Blinds, curtains and drapes are important part of the interior of your home and contribute to its finished appearance and comfort. They easily absorb dust, smoke (especially from cigarettes), pollution, mites and odours (especially from cooking). The curtains lose their color and spread out an unpleasant smell in your premises. 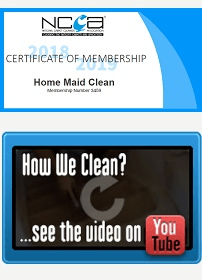 Home Maid Clean steam curtain cleaning technicians will get your curtains, blinds and drapes thoroughly cleaned from dust, smoke and odours. 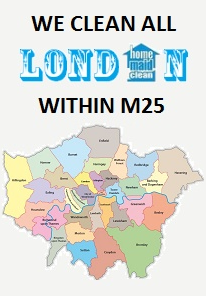 We clean the curtains on site while hanging – no need do take the curtains down. 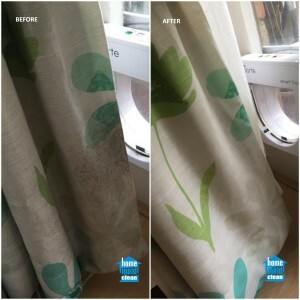 Upon arrival at your home, our technician will do examination of the condition of the curtain – is it dirty, dusty and / or discoloured by sunlight. The curtain will be thoroughly examined for any spots and stains. Pre-testing is then done to establish the type of the curtain fabric and define the cleaning method and products most appropriate for cleaning it. The next step is pre-treatment of the stains and the spots with a special cleaning product, according to the fabric of the curtain. Steam cleaning is then done, using cleaning products that are eco-friendly and children and pet safe. The last step of the cleaning process is the highly-effective hot-water extraction with very powerful professional equipment. All of the dust and dirt will be extracted along with the hot water. We guarantee no shrinkage of the curtains. Final check: in the end the technician will inspect the curtain once again to ensure that all removable stains have been removed and the cleaning has been properly done. 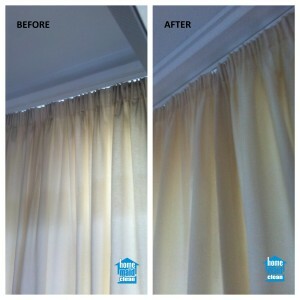 Clients are reminded that curtains cleaning is refreshment, not renewal. If you do not pay attention to your curtains for a very long time, it is unlikely that they can be cleaned to an as-new condition. Regularly vacuum the curtains with attached soft brush. Cigarette smoke is rapidly absorbed by the curtains so try to smoke outdoors, particularly in a warm and sunny weather. The cooking smells are also quickly absorbed by the blinds, curtains and drapes so when cooking – try to keep the kitchen door closed.